The American Academy of Pediatrics regularly updates their recommendations to reflect the society and times we live in, and the latest advisory set for pediatricians is aimed at helping to reduce youth suicides, obesity, heart disease, and HIV and AIDS. 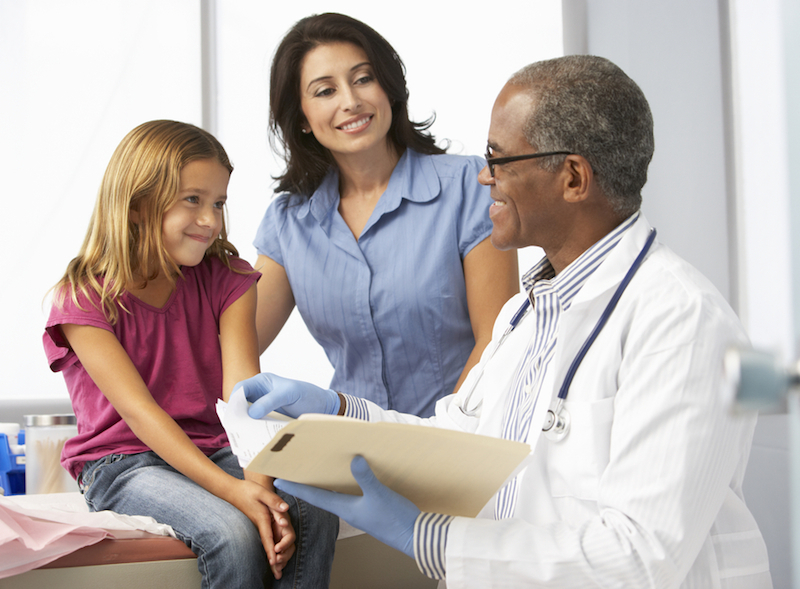 Among the recommendations just published in Pediatrics are testing children by age 9 or 10 for high cholesterol, performing depression screenings by age 11 (and continuing throughout youth), and testing for HIV between the ages of 16 and 18. Previously, the AAP recommended these tests only for children who were at-risk for certain diseases. This new recommendation folds all kids under the umbrella to be tested. For those children who are found to have high cholesterol (and/or be obese since high cholesterol can result as an effect of obesity) or exhibit signs of depression, lifestyle changes will likely be suggested before medication. HIV is obviously a different scenario and one that would require medicine, but early detection is a key component to help improve the infected teen’s health outcomes as well as his or her sexual partners’. These universal screenings are an attempt to erase any social stigma related to these diseases as well as to serve as early interventions for all children who might need them. Other recommendations include congenital heart disease screenings for newborns before being discharged from the hospital and the use of fluoride varnish at certain ages to reduce tooth decay. The American Academy of Pediatrics regularly updates their recommendations to reflect the society and times we live in, and the latest advisory set for pediatricians is aimed at helping to reduce youth suicides, obesity, heart disease, and HIV and AIDS. Among the recommendations just published in Pediatrics are testing children by age 9 or 10 for high cholesterol, performing depression screenings by age 11 (and continuing throughout youth), and testing for HIV between the ages of 16 and 18. Previously, the AAP recommended these tests only for children who were at-risk for certain diseases. This new recommendation folds all kids under the umbrella to be tested. For those children who are found to have high cholesterol (and/or be obese since high cholesterol can result as an effect of obesity) or exhibit signs of depression, lifestyle changes will likely be suggested before medication. HIV is obviously a different scenario and one that would require medicine, but early detection is a key component to help improve the infected teen's health outcomes as well as his or her sexual partners'. These universal screenings are an attempt to erase any social stigma related to these diseases as well as to serve as early interventions for all children who might need them. Other recommendations include congenital heart disease screenings for newborns before being discharged from the hospital and the use of fluoride varnish at certain ages to reduce tooth decay.